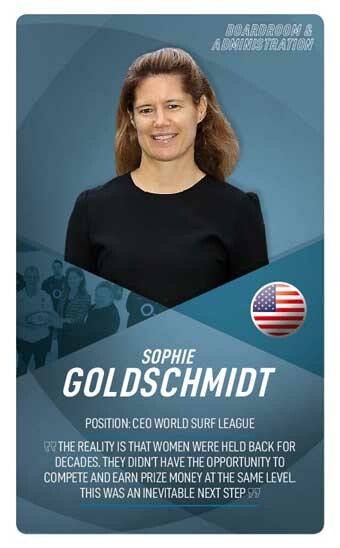 When Goldschmidt became the first female CEO of the World Surf League (WSL) in 2017, many surfing enthusiasts were surprised with her appointment because the Englishwoman was not a surfer herself. But the 44-year-old has thrived in her first two years in the role, spearheading the global growth of surfing at a pivotal time in its history, especially with the inclusion of the sport on the Olympic programme for Tokyo 2020. Coupled with the growth of online steaming and increase in wave pool technology worldwide, the Londoner is working tirelessly to elevate world surfing and announced in August that the WSL had decided to award male and female competitors equal prize money. 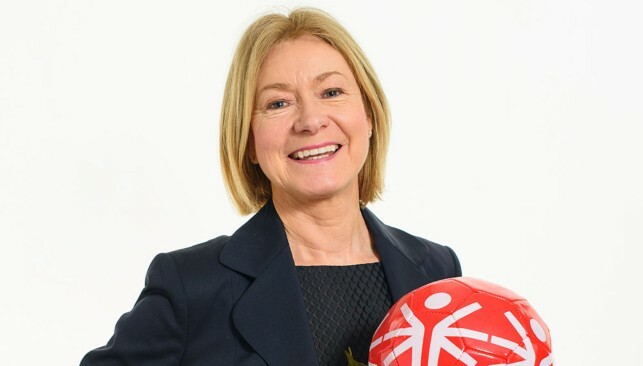 With a track record that is incredibly impressive, she came into her position at the WSL after excelling in senior positions at the Rugby Football Union, the Women’s Tennis Association and the National Basketball Association. 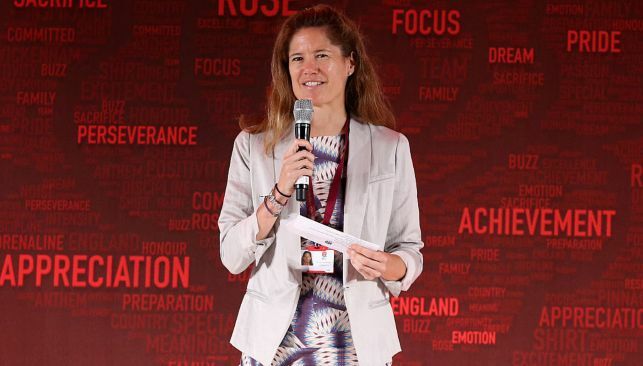 To underline the impact she made, when vice president of marketing and sponsorship at the WTA, she brokered the $88 million Sony Ericsson title sponsorship – the largest sponsorship deal in the history of women’s sports. And when at the RFU, she helped raise the profile of the Aviva Premiership, resulting in 10.5 million visits to rfu.com from 2013-2014. Now living and working in America, Goldschmidt continues to transform what was previously regarded as a niche sport into the realms of mainstream popularity. – In January 2018, Goldschmidt announced the WSL had signed a two-year exclusive digital rights broadcast deal with Facebook worth $30 million. – In April 2018, Goldschmidt was forced to cancel the The Margaret River Pro, the league’s second major competition, for safety reasons due to a spate of shark attacks. 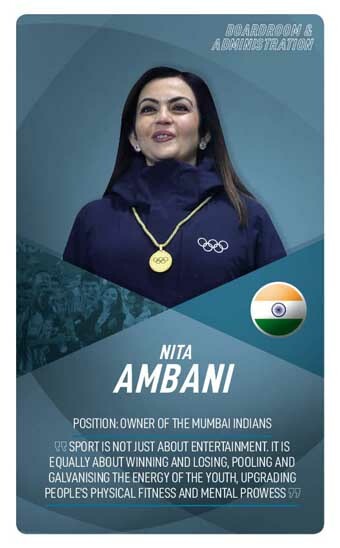 – Forbes named her as the 15th Most Powerful Women In International Sports in 2018. – She received a tennis scholarship to Baylor University in Texas and went on to secure a business degree. – Goldschmidt made her professional tennis debut in 1991, playing doubles at the ITF Frinton tournament in England. However, injury forced her to quit playing shortly after. Empowering women has always been an integral part of Goldshmidt’s mission, and she has done a superb job to balance prize funds between male and female surfers during her short tenure at WSL to date. In fact, in just over a year, she was able to achieve this. A life-long leader within the Special Olympic movement, Davis manages an international team of 250 people who are improving inactivity, injustice and social isolation by encouraging people to be productive citizens in their communities. With over six million Special Olympics athletes worldwide, Davis is the driving force behind making young disabled athletes dreams possible with the hugely successful Special Olympics World Summer Games that takes place every two years. In fact, when Davis took over in 2003, the Special Olympics had never taken place outside of America. 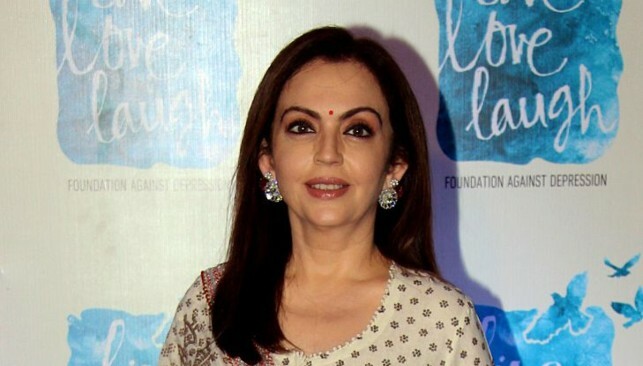 Now, under her tutelage, the competition has been staged around the world with participation levels at an all-time high. 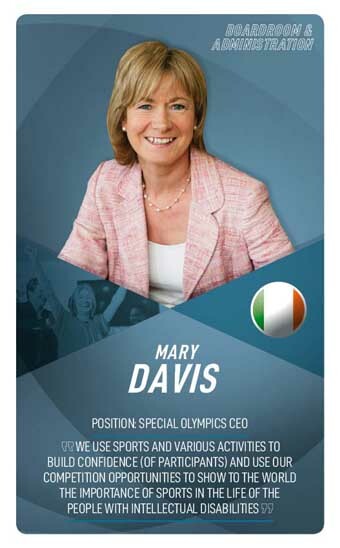 The Special Olympics is indeed a special place for people and the Irish-born CEO has helped to continue inspiring the way the world views and understands the critical need for greater inclusion. – Davis was key to signing WWE legend the Big Show as a global ambassador in August. As part of his role, the American creates an inclusive world through sport and fuels the spirit of the Special Olympic movement. – She ran the New York Marathon in recent years, raising €80,000 for Special Olympics in the process. – She has a keen interest in antiques and collects them while travelling around the globe. Davis was a candidate in the 2011 Irish presidential election. Despite receiving support from six county councils, she came last in the voting system, securing just 2.7 per cent of the overall votes.